The mass repressions in the USSR claimed as many victims as did the wars in which the country was involved in the course of its eighty years of existence. And what kept alive the system that brought about these repressions was the all-pervasive hatred, violence and fear: at any point any one of those in power could have become a victim themselves. Soviet Russia was a dangerous amalgam of a slave and a revolutionary mentality. The slave-like mentality encompassed everything, from the centuries-old subservience of those in power to the universal conviction that violence was natural and necessary to run the state. Revolutionary psychology, in turn, bred a certainty that it was morally justified to achieve goals at any cost, including an absolute disregard for the life of individual human beings. These were the principles on which the state built its policies, throwing people into jail in the name of an idea and annihilating masses of its citizens. The Bolsheviks created the system of camps and correctional colonies immediately after coming to power in 1917. Initially they jailed only their political opponents, such as members of other parties and Tsarist officers, later also any citizen who didn’t support the regime: entrepreneurs, office workers, the intelligentsia, well-to-do peasants, priests. Eventually the terror spread to every social group, with communists and Chekists (security officers) also ending up in the GULAG. Anyone could land behind bars, as a result of a denunciation, confession obtained under torture, or simply “for nothing”, as a part of yet another NKVD campaign, launched by a decision of the Politburo, whose meetings determined which social or ethnic groups should be “cleansed” and set targets for the numbers of people to be arrested. After the outbreak of World War II citizens of countries occupied by the USSR – Lithuanians, Latvians, Estonians, Poles – also began to arrive in the GULAG. In the mid-1950s, following Stalin’s death, most foreigners and political prisoners were released from the camps. However, a new wave of imprisonments soon followed, targeting dissidents, writers, and members of religious and national movements: Ukrainians, Tatars, Armenians… The repressions continued right up to the mid-1980s, until Mikhail Gorbachev’s perestroika. The GULAG is not a closed chapter in our history. This is mainly because we still don’t know the full truth about it. 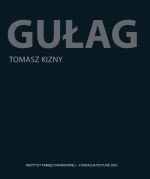 Besides, the GULAG continues to live on in our society’s consciousness, in its slave-like behaviour, in the way it relates to propaganda and lies, in the indifference to the lot of individuals and to crimes, including those committed by the state. In the camps we used to refer to those prisoners who were only interested in themselves as being “alone on an ice floe”. It is just as important to overcome alienation and isolation in public life as it was in the camps. Today it’s your cellmate who has been put into a punishment cell, tomorrow it will be someone else and the day after it will be your turn. We mustn’t grant the authorities a licence to be tyrants; we must protest. Even if this doesn’t yield visible results, it is this attitude that will ultimately keep terror and lawlessness in check. But first and foremost, it safeguards individuals from enslavement. The reason why the slave mentality is still alive and well in Russia today is that the Soviet system has not been roundly condemned. In my country we didn’t have a trial similar to that held at Nuremberg. But who could organize and carry out such a trial? Lo and behold, President Boris Yeltsin did make a feeble attempt in 1992. The Constitutional Court was supposed to determine whether the presidential decision to dissolve the Communist Party of the Soviet Union had been legally justified. The Memorial society commissioned an expert review, which concluded that the Communist Party of the USSR was a criminal organisation. Nonetheless, nothing happened. The court did not pronounce an unequivocal judgment. Why not? Well, let’s just imagine that de-Nazification in Germany had been carried out by former members of Hitler’s regime. What would the result have been? After all, every key position in my country is still held by people who were part of that system, former party functionaries, officials of the state security apparatus. None of them needs the truth to be told, and legal proceedings are simply unimaginable. On the anniversary of Stalin’s death Russia’s President Vladimir Putin reinstated the Stalinist national anthem and gave a toast. “I might be wrong,” he said, “but I am wrong along with all my people.” And it is these people who are now gradually and systematically being deprived of their freedom by means of pressure and specially crafted laws. Journalists no longer know what they are not allowed to say, while judges know the limits of their independence. This is the result of Soviet education. This is the shadow of the GULAG. I am firmly against lustration laws. Nevertheless, I believe that those who committed crimes in the past must be brought to justice. Not based on new legal provisions, as was the case at Nuremberg, but based on the Soviet legislation that was in force at the time these crimes were committed. The verdicts sentencing hundreds of thousands of people were unlawful. The judges are responsible for that. And what about the crimes of those investigators who had tortured detainees and concocted false charges? They, too, ought to face trial. Not in order to be punished or sent to prison but in order for the law to prevail. In order for their acts to be justly condemned and for evil to be called evil. Those found guilty could later be amnestied or receive suspended sentences. However, this is not likely to happen. Not just for political reasons but also because of our mentality: we don’t want to feel guilty. In our bloody, brutal, ignominious history we have always laid the blame for all misfortunes on “them”: Jews, Georgians, Chechens – anyone but ourselves. We didn’t want to know anything about the GULAG, we didn’t want to see it, we believed the propaganda referring to those arrested as “enemies of the people”. We hated them. We went out into the streets with banners shouting “Death to Trotskyite dogs!” We yelled out at rallies, demanding they be put to death. Whole crowds of us. Should we, by some miracle, manage to overcome this Soviet mentality, we ought to be strong enough to utter a single phrase: forgive us. The way the Germans did. Instead, we look around searching for someone else to blame. Of course, the primary responsibility for the GULAG lies with the communist party, the state security apparatus, the system. But then again, it was we, the citizens of this country, who created this system. Sergei Kovalev is a Russian scholar, human rights activist and former dissident, who was sentenced to seven years in labour camps and three years’ exile, serving his sentence from 1975 to 1985. In 1986 he co-founded the Memorial Society. From 1990 to 2003 he served as a deputy to the State Duma and member of the Presidium of the Council of the Federation; between 1990 and 1993 he chaired the Presidential Human Rights Commission; from 1996 to 2003 he was a member of the Russian delegation at the Council of Europe Parliamentary Assembly. An outspoken critic of the authoritarian tendencies of the Boris Yeltsin and Vladimir Putin administrations, he publicly opposed the war in Chechnya. In 2014 he wrote an open letter appealing to the international community to halt Russia’s expansion in Ukraine. He was nominated for the Nobel Peace Prize in 1995, 1996 and 2004. The interview appears in the revised edition of Gułag, an album by the author and journalist Tomasz Kizny, in cooperation with the graphic designer Dominique Roynette, published by the Institute of National Remembrance and Picture Doc Foundation, Warsaw,2015, 496 pp. The book showcases the major Soviet forced labour camps: the former monastery on the Solovetsky Islands in the White Sea; the construction of the White Sea-Baltic Sea canal; prospecting for mineral deposits on Vaygach, an island in the Arctic Sea; gold, coal and uranium mines in Kolyma; the construction of the railway line from the Urals to Yenisey River (the so-called Death Road); and a coalfield in Vorkuta (Komi Republic). All this is illustrated by hundreds of moving photographs documenting the conditions endured by the convicts (totalling 20 million prisoners between the 1920s to 1950s). In addition to photographs discovered in archives Tomasz Kizny presents his own pictures showing former inmates and their descendants, as well as the after effects of the camp civilisation. The interview will also be featured in a special exhibition of Tomasz Kizny's photographs due to open soon in Potsdam: DER „GROSSE TERROR“ 1937–1938 IN DER SOWJETUNION (The Great Terror, 1937-1938 in the Soviet Union). A photo documentation by Tomasz Kizny. The exhibition, organised by the Wissenschaftskolleg zu Berlin and the International Memorial Society will be open from 6 March to 19 April 2015 at the Haus der Brandenburgisch-Preußischen Geschichte (House of the Brandenburg-Prussian History).